A north from the Kathmandu Valley, Langtang National Park is the most easily accessible highland sanctuary from the capital. The park encloses 1710 sq. km. and exceeds an altitudinal range of 6450m. The holy lake of Gosainkunda falls within the park. 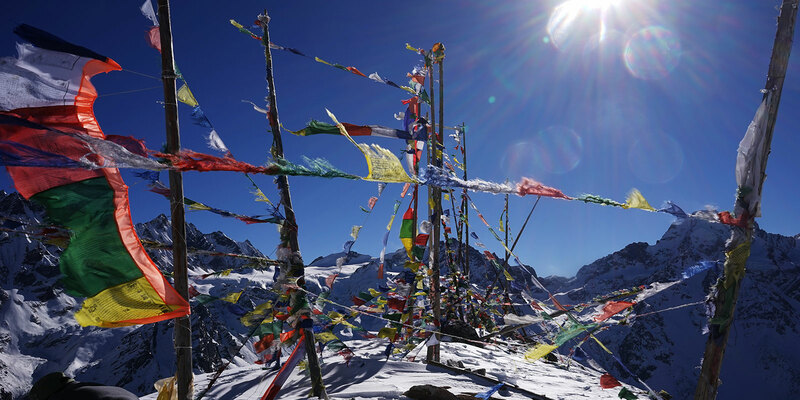 The northern and eastern borders of the national park harmonize with the international border to Tibet. Between October to November and from April to May, Climate of the park is warm and sunny, nights cool. So it is very convenient to travel to the park. Park is gradually taken over by hill forest consisting of Rhododendron, Nepalese alder. Park has expansive high meadows providing summer habitat for numerous ungulate species such as musk deer and Himalayan tahr. Park is also a home for a red panda, Himalayan black bear, snow leopard, ghoral, serow and more than 250 species of birds. The park has also a rich cultural diversity. These cultures differ by their language, house style, dress ornaments, and customs.From the Langtang, people go to trek to helambu regions, Gosaikunda Lake and exploring trailside to the hill top view point.